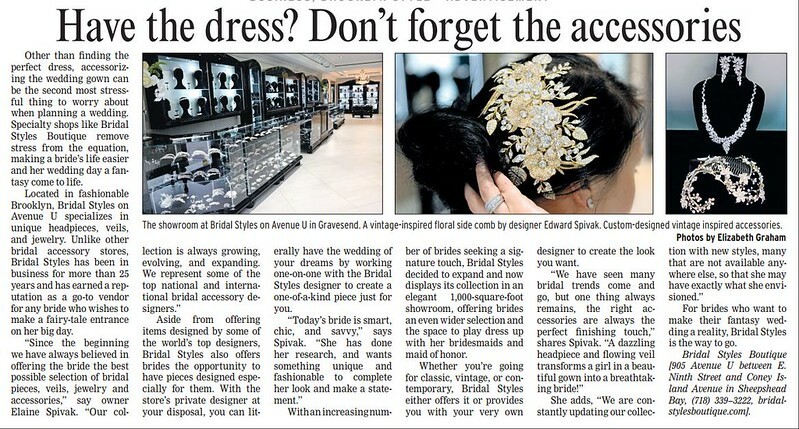 Bridal Styles Boutique in the News! We’re super proud of the fact that Bridal Styles Boutique has been a business located in the heart of Brooklyn and a part of so many wonderful brides’ wedding days for over 25 years. So, when Community News Group, a local family of newspapers, asked to interview Elaine, everyone was excited! We’re totally delighted by the article, which ran in the Bay News, Bay Ridge Courier, Mill Basin Courier, Brooklyn Graphic, and Brooklyn Courier papers! The Spring/Summer 2015 issue of Wedding Guide magazine is out and we couldn’t be more excited. Not only is a stunning crystal comb from our new collection featured on the cover, but the model’s look is exceptional. So elegant and timeless yet super glam and dramatic. Right up our aisle! Such impeccable style couldn’t have happened without a stunning gown from Monica’s Bridal and the talents of Senada K. (hair), Drita Paljevic (makeup) and photographer PhotoDH. 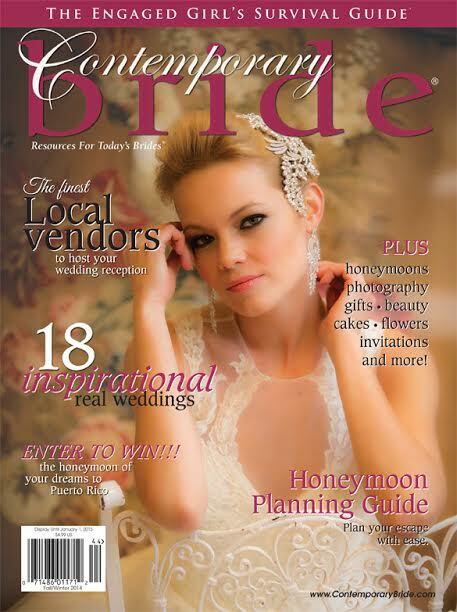 Pick up your issue at area newsstands and major bridal shows. To see more pieces from our newest collection, visit us at our Brooklyn bridal accessory boutique. We’re thrilled and honored that our headpieces and jewelry are on the covers of the New York and New Jersey editions of Contemporary Bride! It’s been a privilege to work with them for the last several years and be a part of such an amazing team. Pick up your issue in bookstores, supermarkets, on newsstands and at major bridal shows. Andrea Duarte Carbonaro of Melissa D’Aloia & Co. Bridal Styles Boutique is a Cover Girl! 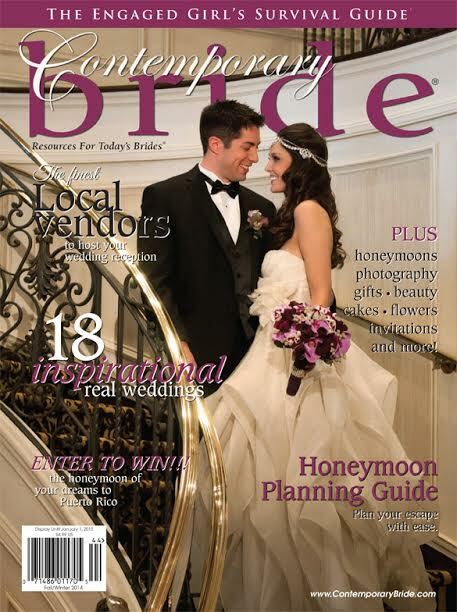 Keep an eye out at your local newsstand because Bridal Styles Boutique is on the cover of Wedding Guide magazine! Featuring a glam crystal crown, veil and jewelry from our new collection with a gorgeous Pnina Tornai gown. We think the cover looks picture perfect, don’t you? Of course, that gorgeous shot could not have been created without the work of talented makeup artist Drita Paljevic, hairstylist Senada K, and photographers Alba Pro and Photo DH. 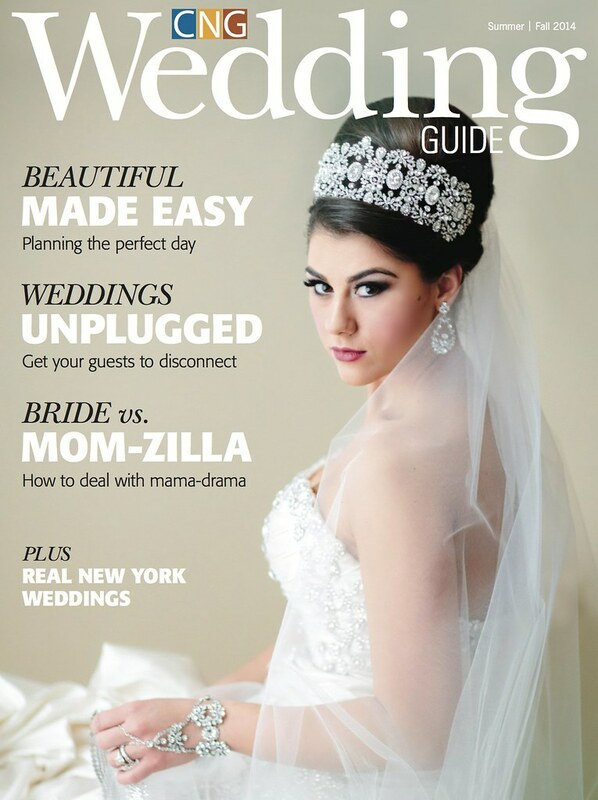 You can pick up your copy of this latest issue of Wedding Guide magazine in many locations throughout New York, New Jersey, and of course at major bridal shows! To see more pieces from our new collection, visit us at our Brooklyn boutique. Bridal Styles Bride Robin is a Cover Girl! 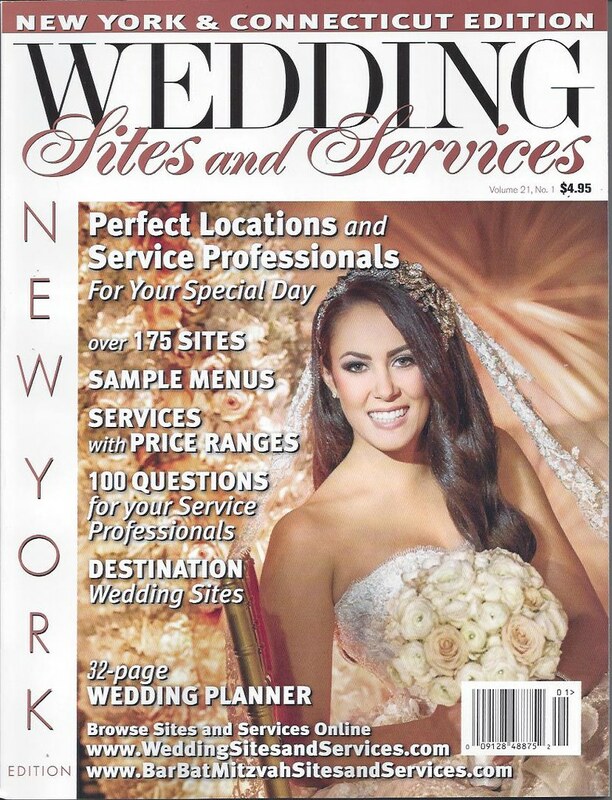 Beautiful Bridal Styles bride Robin is on the cover of the Spring 2014 edition of Wedding Sites and Services! We custom-designed her double crystal rose headpiece with gold and pearl accents, and we have to say it goes perfectly with her gorgeous gown and sparkling smile. Taken by famous Fred Marcus Photography Studios, her cover photo is stunning…we’re so proud and delighted to see another one of our girls in print!